Each ZIP File contains 12 separate Files, 1 for each month of the year 2019. These calendars are hand drawn and colored for the year 2019 using digital art! 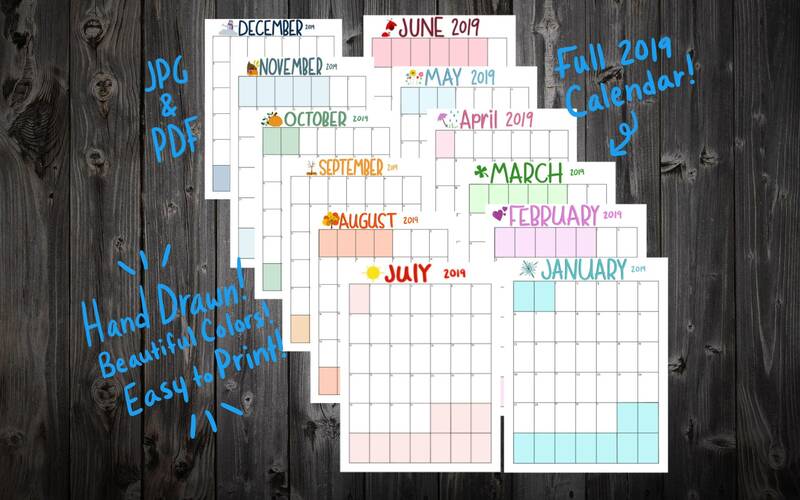 The colors and doodles are cute and beautiful and go along with the theme for each month!